I joined the Historical Tapestry team exactly 2 years ago today, so I thought it was about time that I shared my books of a lifetime with you all. I have always loved reading; to loose myself within the confines of a book, so that when I finish reading it feels like I have lost a good friend. As I sat to write this post I pondered on the many thousands of books I have read over the years. The list is enormous and I wonder if I had to choose a few really special books what would I choose? 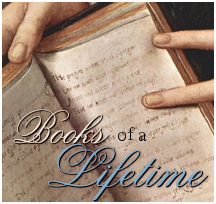 So I am going to share the books that have left a lasting impression with me. The books that I can recall the plot months and in some cases years after I read it. Or perhaps the books that I re-read with complete regularity. There maybe a few surprises and if you are regular reader of the Anglers Rest blog you may be familiar with several of the books mentioned. I don't know how old I was when I was introduced to books. I do recall sitting on my Grandmother's knee whilst she read to me the many Enid Blyton books that I loved. Starting with Noddy and Big Ears in the years before political correctness when completely mad! I still have my childhood set of Noddy books. I then moved on to the Mr Twiddle series before racing on through the Famous Five, Malory Towers, St Clare's series. For those who would like a trip down memory lane there is an Enid Blyton Society. I also enjoyed the Nancy Drew series and they were frequently borrowed (and re-borrowed) from the library and the library of yesteryear when the tickets were a heavy card and the books exchanged for a round disc or your library ticket. Those books and wonderful times with my Grandmother undoubtedly shaped my reading habit and enthusiasm. I recall many an evening with my Mum and Grandmother, all with our heads buried in our respective books. Into senior school and reading was typically history texts or literature books that had been set. Hamlet, Mice and Men are just a few. A real favourite during this period was Animal Farm by George Orwell, that was strategically read whilst undertaking Russian history and Revolution. Once into adulthood I have read a real variety of books. I love to read books that form part of a series and I like to read them in order. Two favourites are those set in Elm Creek by Jennifer Chiaverini. Another series, but completely different to the Elm Creek series is the Outlander series by Diana Gabaldon. I am slightly obsessive about reading in order and often will gather a complete set before reading commences. Then once I have finished reading the series it takes a few weeks before I can move on to another book. I also like several of the cozy mystery series, especially those that feature coffeeshops, teashops, knitting and various crafts. I also like anything with a genealogical theme; that way I can get my two obsessions nicely bound together, two fixes for the prices of one if you will! The final book I am going to mention is A Town like Alice by Neville Shute. I bought a tatty looking second hand copy about 30 years ago. That copy is still going strong and the book is read at least once every year. I have thought about replacing the tatty copy but somehow, that those new editions are just not the same. Here is a picture of my very well read copy. Thank you for accompanying me as I shared my books of a lifetime. Why not share your books too? I really love A Town Like Alice too--I've listened to it twice, most recently last September, and fell in love with the characters all over all. I've been wondering whether I should try some of Nevil Shute's other books, although On the Beach appeals to me not at all! 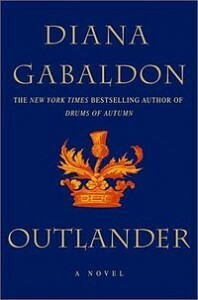 I'm also an Outlander fan and I also have a compulsion to read books in order. I have a children's version of Heidi that I treasure. It was gifted to me by my second grade teacher and I was fascinated that our teacher actually gave everyone a gift for Christmas!